I wanted to explore a number of fleeting subjects by using a main focal point as the object of interest and then a supporting image through use of pattern in the background. The pieces are meant to have a personal story while maintaining an appealing and quirky aesthetic for mass appeal. Thus far, the posters' connective themes include addiction and quirkiness; taking the subject matter seriously without taking it too seriously; conflict and resolution. 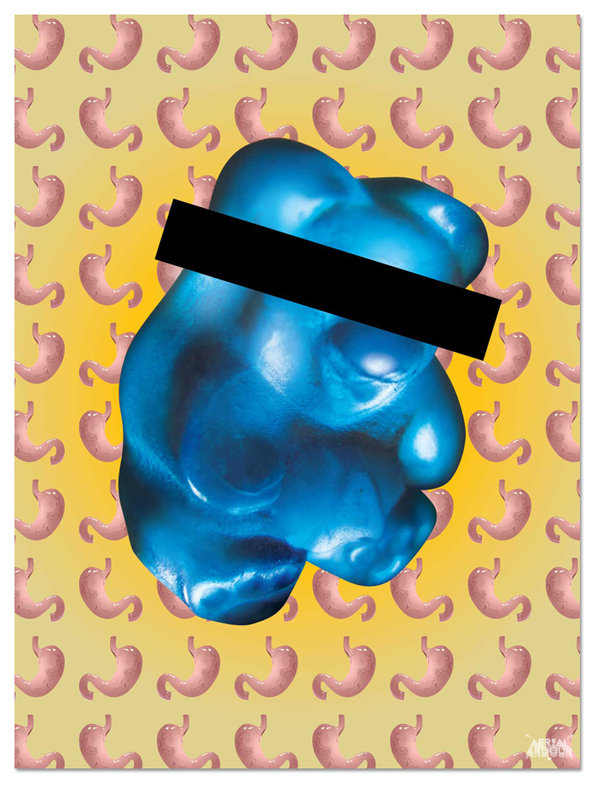 Ladies and gentlemen, I present my latest poster sized at 18” x 24” that addresses our obsession with gummy bears and the anti-digestive consequence if too many are consumed.